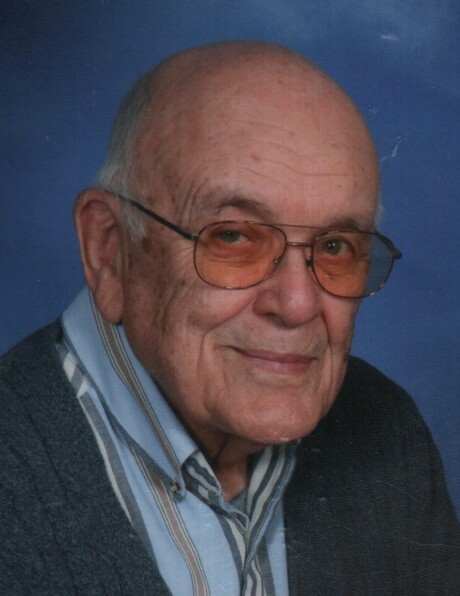 Emerson (Em) Lyman, age 94, of Parkers Prairie, passed away on February 2, 2019, at St. William’s Living Center, Parkers Prairie, where he had been a resident for several years. Em was born in St. Peter, Minnesota, on January 19, 1925, to Millard and Ruth (Ely) Sapp. He graduated from Hopkins High School in 1942, and then worked at Northern Pump in Minneapolis, Minnesota as a draftsman for naval weaponry. He attended the University of Minnesota, St. Paul, and in 1949 graduated with a double major in Horticulture and Agricultural Economics. After graduation, he moved to California to work as an extension agent for the Yolo County Agricultural Extension service. It was in California where he met Helen Olson, another Minnesota native. They married in Woodland, California on August 31, 1951, and resided there for two years before returning to Minnesota to take up farming at the Walter Olson family farm at Parkers Prairie. Emerson and Helen were blessed with two children, Susan, born in 1954, and Scott, born in 1957. Em was an active member of the Parkers Prairie community and First Evangelical Lutheran Church. He served as Treasurer of the Parkers Prairie Township Board; as a Parkers Prairie School Board member for 12 years, and as Council Member, Building Co-Chair and Cemetery Board member at First Lutheran Evangelical Church. He taught Sunday School and along with his wife, Helen, was a youth group leader at First Lutheran. Along with farming, Em owned and operated a local insurance business and during tax season helped community members prepare tax returns. He later worked as a sales tax auditor for the State of Minnesota. In later years, Em was proud to have founded the Chess Club at Parkers Prairie Elementary School and to have taught his love of chess to a new generation. A life-long lover of the outdoors, Em was an avid hunter, fisherman, and conservationist. He established native wildflowers and grasses at the Swedish Lutheran cemetery, the family farm and at his residence in Parkers Prairie. Like all members of the Greatest Generation, his wish was to be remembered as someone who tried to be of service to his community and church. Em is preceded in death by his parents, his wife, Helen; and his sister, Evelyn Thon. Survivors include daughter, Susan of Parkers Prairie; son, Scott of Alexandria, Minnesota; grandsons, Jeremy (Giovana) of Dillon, Colorado, and Cody, Jesse, and Mason of Alexandria, Minnesota; granddaughters, Megan (Derrick) of Blaine, Minnesota and Kelly of St. Cloud; and two nieces and one nephew. Funeral services will be held at First Lutheran Evangelical Church on Friday, February 8, 2019, at 11 am. Visitation will be held one hour before the service. A private burial will follow at the Swedish Lutheran Cemetery. The family wishes to extend their gratitude to the staff at St Williams Living Center for the excellent care they provided and the support they offered at this difficult time.